The wireless motion sensor uses an infrared sensor to accurately detect movements made by people/animals within 16.4 ft (5 m) range. User customization allows you to set notifications and alerts from the system to know immediately if there is motion in a given area. • 16.4 Ft. Sensing Range. now included with every sensor for FREE! • 1 user per account. • Sensor heartbeats (check-ins) down to 2 hours. • Standard sensor configuration options. • SMS text and email notifications when sensor thresholds are met. • Sensor data is stored for 45 days. 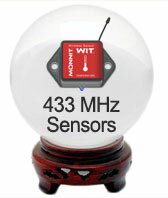 If we look into our crystal ball we can see a new line of 433 MHz wireless sensors. 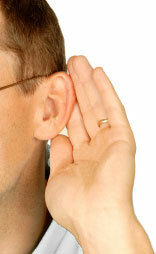 The Monnit team has been hard at work developing 433 MHz versions of all of our popular wireless sensors. These sensors are internationally compliant and can be used anywhere in the world. If you would like to be notified when these new sensors are available, please email us at devteam@monnit.com. Bilge pump failure can be catastrophic when it comes to your boat or watercraft staying afloat. When an issue arises, you want to know immediately so you can take care of the problem before damage occurs or your boat submerges. However, pump motors can burn out and pump triggers can stick. How do you know if there is an issue with your pump before it's too late? With Monnit Wireless Water Sensors you can have 24/7 monitoring of your boat or watercraft and avoid water damage and possible submersion by receiving real time alerts via SMS text or email if water levels reach a certain point and the bilge pump has not turned on. You can also track bilge pump activity to know how often the pump activates. The system provides a detailed report as well as spreadsheet export functionality. 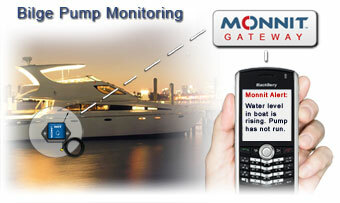 Enjoy the peace of mind that comes from using Monnit wireless sensors to help maintain your boat or watercraft. 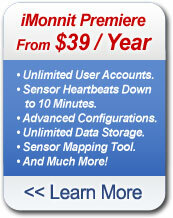 When you begin using Monnit Wireless Sensors you probably purchased them for a specific purpose. Maybe it was to track refrigerator temperatures or to know if there is a plumbing leak. While using the sensors for these applications, you may discover new information about your facility or home that you didn't know before. • Boiler temperature monitoring to detect boiler failures or excessive heating. • Warehouse temperature monitoring to avoid frozen fire suppression systems. • Monitor vacant commercial property temperatures to avoid frozen pipes. • Summer/winter (vacation) property monitoring for frozen pipes or excessive heat. • HVAC system monitoring to detect failures or heating / cooling issues. • Monitor temperature of K9 units (dog collar's and kennel). • Art gallery and museum temperature monitoring. • Art gallery and museum humidity monitoring. • Art gallery and museum light metering. • Heat remediation of bed bugs (extermination). • Freezer and cooler temperature monitoring to detect failure and prevent food spoilage. • Server room temperature monitoring. • Cadaver storage cooler temperature monitoring. • Greenhouse temperature and humidity monitoring. 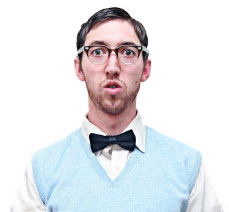 • Hotel, motel and resort water heater leak detection. • Residential and commercial water heater leak detection. • Sink and toilet leak detection. • Frozen or burst water pipe monitoring. • Sump and well monitoring. • Boat bilge pump monitoring. • Commercial property "lights left on" electricity management. • Residential property "lights left on"electricity management. • Greenhouse solar and light level tracking. • Commercial property door and window access. • Residential property door and window access. • Bank owned foreclosure properties access monitoring. • Shipping cargo bay door monitoring. • Asset tracking and monitoring. • Location tracking of school buses. • Fleet vehicle management and tracking. • Machinery and motor RPM tracking. • Production line position tracking. • Barn door access monitoring. • Pharmaceutical refrigerator temperature tracking and monitoring. • Restaurant freezer / cooler temperature monitoring. • Freezer / cooler doors left open. • Convenience store cooler doors (to determine if they are not closed all the way). • Motor and machinery monitoring to determine how often a machine is in use. • Customer service request button. • Hotel / motel front desk call button. • Bathroom needs cleaning (service call button).